It’s the latest in effortless technology – voice assistance. Giving you the information and help you want by simply asking your voice compatible device. Our development team have been working hard to make Oz Lotteries as convenient and simple as possible. With recent technology developments, we’ve added the Oz Lotteries voice assistance service. Want to check in on the latest results, or get up to date draw information? Curious about the next jackpot or if there were any winners? Just ask! 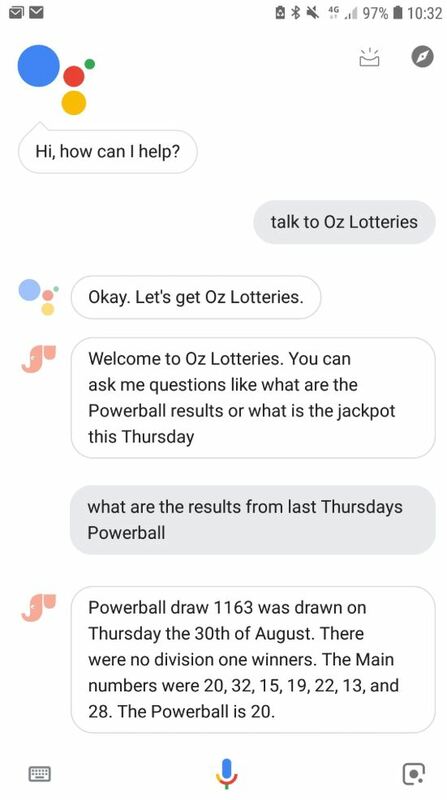 Use the voice assistance technology with your connected Google Assistant or Amazon Alexa supported device, and Oz Lotteries will be there to help. And as always, if you can’t find what you’re looking for, the voice assistant can help to get in touch with our friendly Customer Support team. 1. To use the voice assistant you will need to enable Google Assistant or Amazon Alexa via your smart device. This might be a dedicated device like Google Home or Amazon Echo, or you can simply use your Android phone or download the iOS app. 2. Tap the microphone icon or say “OK Google” to activate voice assistance on a Google device. Say Hey Alexa for devices supporting Amazon Alexa. 3. Say “Talk to Oz Lotteries”. This will connect you to us so we can answer your questions! 4. Ask your questions or commands – we’ll try our best to provide the right answers. 5. If you have any problems or didn’t get the answer you needed, ask to speak to Customer Support or head to our website. What were the results for yesterday’s draw? Did anyone win Oz Lotto on Tuesday? What time is the draw tonight? How can I contact Oz Lotteries? We are continually working on improving and innovating at Oz Lotteries. If you have any feedback or suggestions, let our team know in the comments below or by contacting us at support@ozlotteries.com.